Award winning social enterprise, CLARITY-The Soap Cọ has announced the launch of BECỌ, a new feel good, socially enterprising and better considered soap range putting real change in the hands of people across the UK. BECỌ is created in the social enterprise’s East London semi-automated factory - powered by people of whom 80% are visually impaired, disabled or disadvantaged. CLARITY-The Soap Cọ, the charity behind BECỌ creates over 10,000 days of employment every year for its staff – 80% of whom are visually impaired, disabled or disadvantaged. Its ambition, with the launch of this feel good and playful brand, is to generate 2,000 days of employment in 2018, enabling ever more people to have a positive impact on the world around them through their consumer choices. The new BECỌ products consist of a 250ml vegan, eco-foaming hand wash which saves 88 litres of water per bottle compared to liquid hand wash; and a 97% organic, vegan, 100g triple-milled bar soap in three planet-friendly and eco-certified fragrances: Honey Blossom, Spring Meadow and Wild Berries. The eco benefits go far beyond this. Each bottle of foaming hand wash lasts 2.5 times longer than a liquid hand wash, meaning less plastic waste. The organic bar soap is also made with ingredients that have not been produced with herbicides, chemical fertilizers, or pesticides. 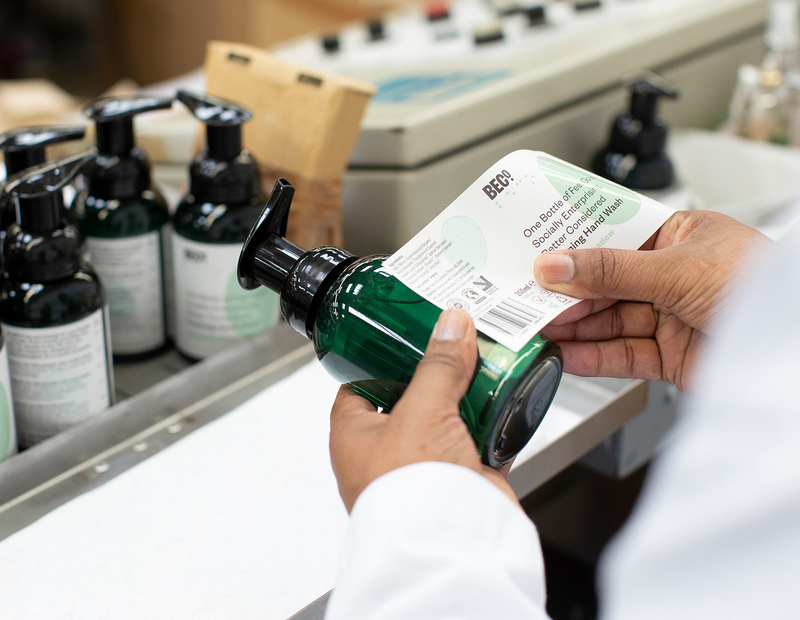 Camilla Marcus-Dew, co-founder of The Soap Cọ, said: “BECỌ stands for Better Considered, and is a movement that puts meaningful change for disabled and disadvantaged people in the hands of everyday shoppers. It’s a bold new idea that will appeal to those who want more transparency, sustainability and great design from the products they buy. Through the launch of The Soap Cọ we learnt a lot about introducing an ethical heart to the world of premium body and bath products - and have left no stone unturned in setting a whole new standard in eco and sustainability credentials for supermarket shoppers. 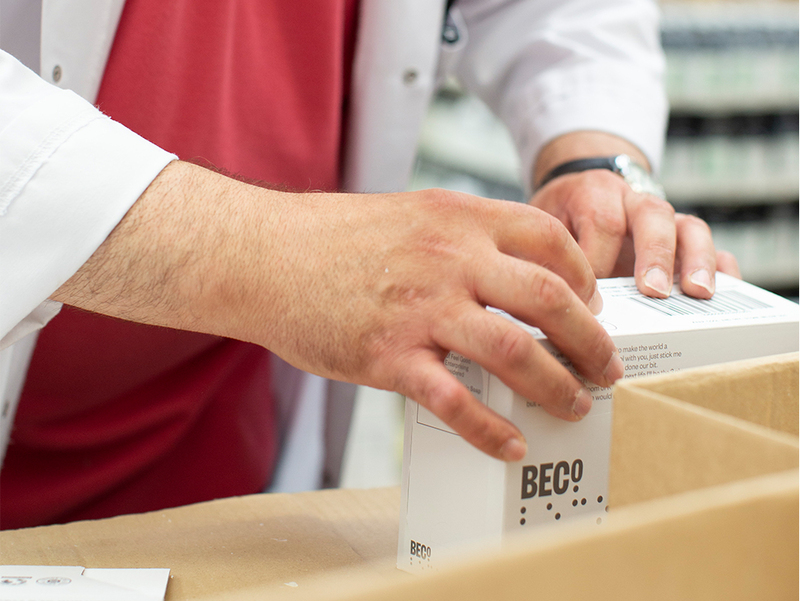 BECỌ has secured listings in Waitrose and Sainsbury’s and will be in store from the start of July - with selected Co-op stores following in late summer. More exciting news to come! Just think: If every household in the UK used BECỌ in their bathrooms, BECỌ would create nearly 45,000 new jobs for people with disabilities.